When you are dealing with two buildings or locations that need to communicate with each other, or you need to move data between them, wireless backhaul is the flexible, cost-effective, and secure option. A wireless backhaul solution from CORE Cabling allows you to unify your communication across multiple locations, with significant cost savings over leased landlines, while providing performance and reliability you can count on for your valuable intellectual property. 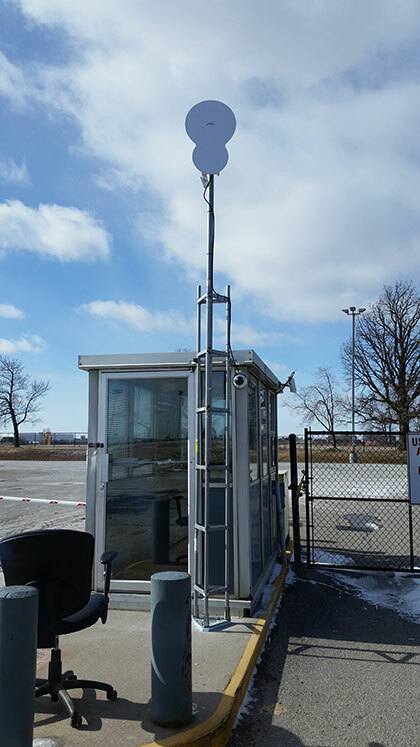 CORE’s wireless backhaul solutions move data from location to another location, through rural or urban areas, with or without the means of cable infrastructure. We serve the government, healthcare, education, organizations in the public and private sectors, ISPs, and WISPs by understanding their environment, and applying our experience, expertise, engineering, and implementation methodology to provide custom wireless backhaul solutions. The result is high capacity communications offering high availability, ideal for all your communication needs. Wireless backhaul solutions from CORE Cabling are successful for our clients because we provide a unique blend of reliability, stability, and security. We partner closely with leading manufacturers to deliver wireless backhaul solutions, offering licensed and unlicensed product lines and providing solutions from 100 Mbps to 2 Gbps, with low latency. We deliver seamless wireless connectivity and unmatched performance and reliability, achieving up to 99.999% Availability. Contact us today to get started with a custom wireless backhaul solution that is right for you!